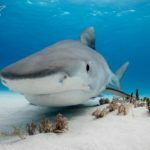 The Bahamas has been a shark diving hub for decades and there are now a number of hotspots throughout the archipelago that offer reliable encounters with a variety of species of sharks. Caribbean reef sharks certainly are the most commonly encountered shark species on dives here, but there are also a number of marquis species that can be found. 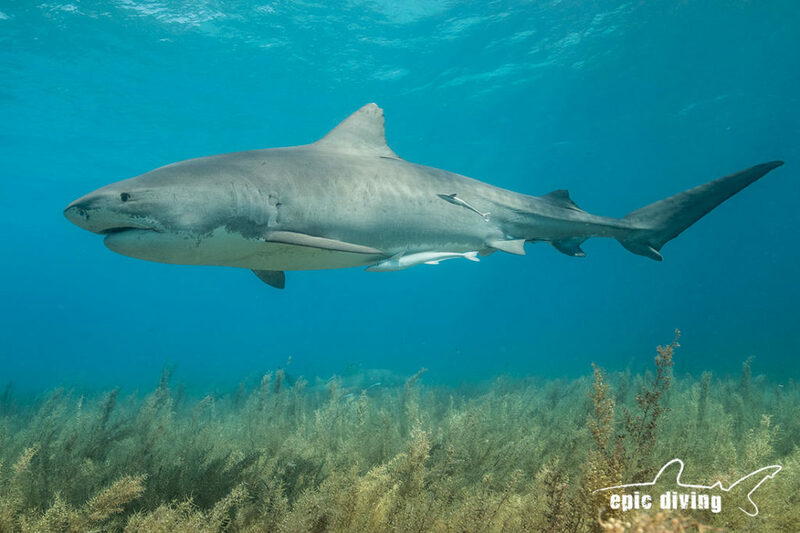 Tiger Beach is undoubtedly the best place on the planet to scuba dive with tiger sharks. 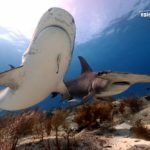 Bimini is now well-known as a hotspot for the endangered great hammerhead shark and Cat Island is one of the last places divers can reliably find the elusive Oceanic Whitetip Shark. Of course, you can find multiple species at each of these locations. Plan early, especially if you’re traveling from far specifically to find a particular shark species to dive with. 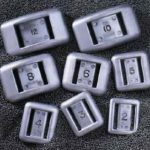 These specialized trips generally book up quite far in advance and space is limited both for safety and comfort reasons. Make sure to book your diving before making other travel reservations including airfare. 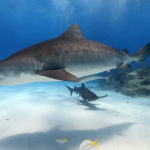 If your main reason for traveling is the shark dives, then make sure that’s available first. Consider travel requirements. Some folks will need Visas in order to visit the Bahamas. Others may even need a Visa to enter the US if your air travel includes a stop-over there. Below are some quick details. You can find the full list of Visa requirements by clicking here. UK Foreign and Commonwealth Office Travel Advisory for the Bahamas. Tiger Beach – Grand Bahama International Airport (Freeport). The airport code here is FPO. Freeport is about 40 minutes from the West End by taxi. Bimini Hammerheads – South Bimini Airport. The airport code is BIM and located on South Bimini. Most hotels are located on North Bimini so you’ll need to take a taxi/water ferry to get to the other island. Cat Island – New Bight Airport. The airport code is TBI. Cat Island has 2 airports. Make sure you’re booking your ticket to TBI. The Bahamas is truly a shark diving paradise! It’s tough to beat in terms of the number of sharks, the variety of species, and the ease of shark diving and photography. Make sure you have all the necessary information and travel documents before your trip. Don’t hesitate to contact us if you have any questions.